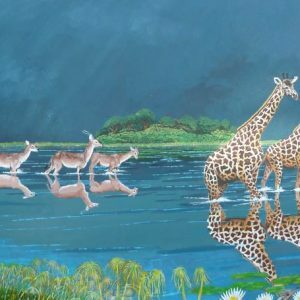 Antelope painting. 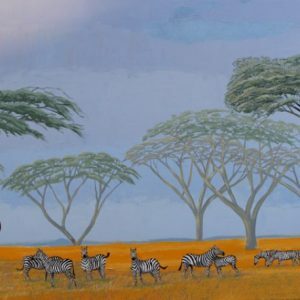 See other African wildlife & landscape paintings here. White-eared Kob, on their annual migration, must come to river crossings. 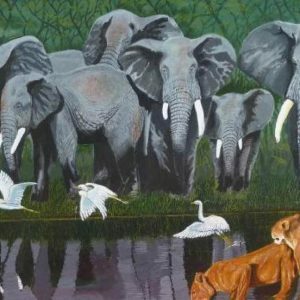 Hunter-gathers await, wading in to the shallow water where the antelope’s speed and agility are neutralized. 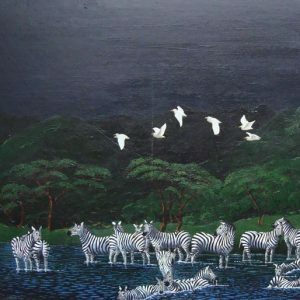 91.4 x 50.8 cm (36 x 20 inches). Acrylic on canvas. Framed. 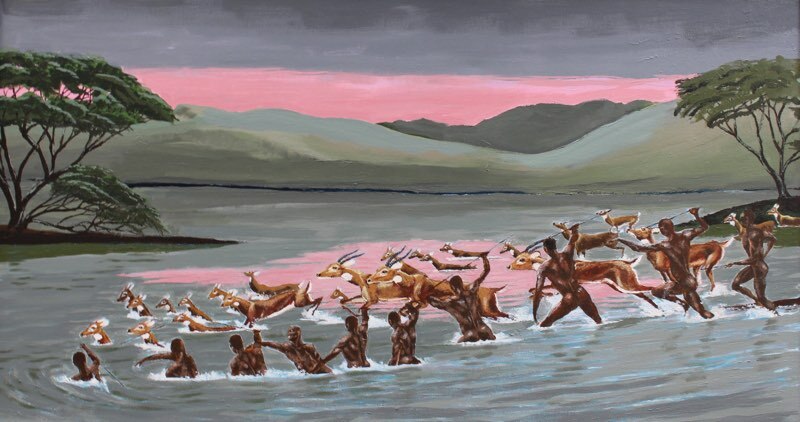 Antelope painting of Kobs crossing the river with hunter-gathers waiting.